NORTH ANSON -- A New Portland man was arrested Tuesday morning after he allegedly threatened a woman and three children with a gun and held police in a six-hour standoff. 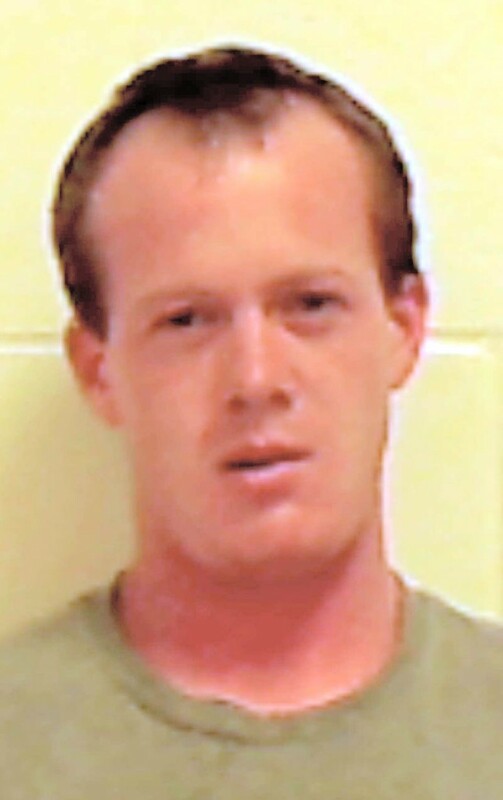 NORTH ANSON — A New Portland man was arrested Tuesday morning after he allegedly threatened a woman and three children with a gun and held police in a six-hour standoff. Randy Grover Jr., 30, reportedly had a rifle and also had threatened police, Detective Lt. Carl Gottardi of the Somerset County Sheriff’s Department said. The State Police Tactical Team used an armored vehicle to take the woman and children to safety from the Union Street home where the standoff began just before 3 a.m.
“The tactical team moved them to a secure location because if, in fact, somebody had been outside with a firearm, we weren’t going to just have them come outside and potentially be in danger,” Gottardi said. 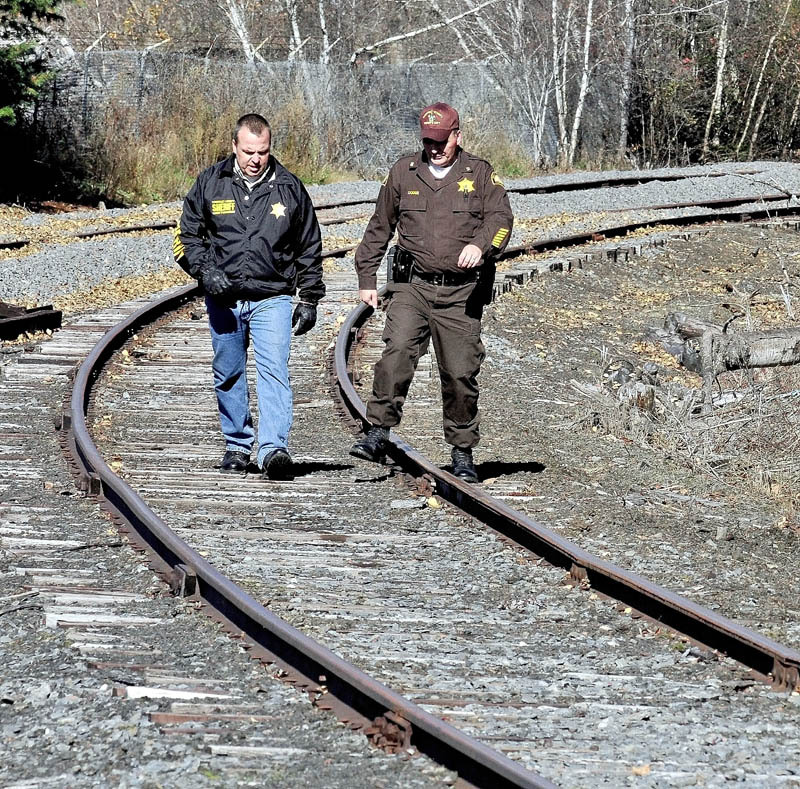 Grover fled the home and was later found on a nearby railroad bridge that crosses the Carrabassett River between state Route 16 and Union Street, which also is state Route 234. Grover was in possession of a loaded firearm clip, but by late afternoon Tuesday police had not found a weapon, Gottardi said. Police from several agencies assisted in setting up a perimeter around the immediate area. The state Department of Transportation closed Route 234 to all traffic from Campground Road to U.S. Route 201A for three hours as a precaution. 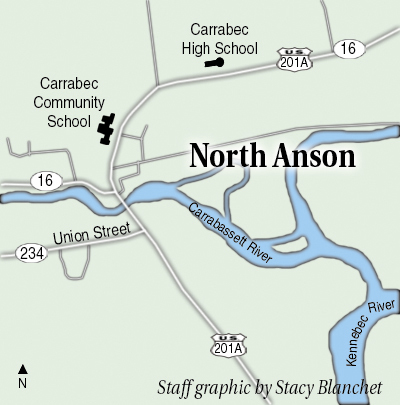 Kenneth Coville, superintendent of North Anson-based School Administrative District 74, said classes Tuesday were delayed for two hours in all district schools because of the potential risk to students and staff. The district also has schools in Anson and Solon; the other towns in the district are Embden and New Portland. Carrabec Community School is less than a mile from the scene and Carrabec High School is just beyond that. “Due to the joint cooperation between the agencies involved, this incident had a peaceful ending,” Gottardi said. Grover is charged with domestic violence terrorizing, a class C felony, punishable by up to five years in prison with a conviction. He is being held without bail because of previous convictions, an intake worker at the jail in East Madison said. The district attorney’s office will review the incident and other charges may be forthcoming, Gottardi said. Grover’s truck has been impounded and a search warrant is being applied for by the sheriff’s department to search for possible evidence , he said.